Montreal is North America's premier city for culture, elegance, fun and hospitality. Explore a city that offers many surprises. 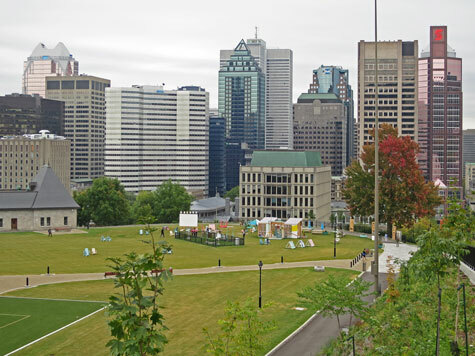 Famous landmarks in Montreal include the Sun Life Building, Place Ville Marie, McGill University and Mount Royal Park. Top attractions in Old Montreal are the Notre-Dame Basilica, Place Jacques Cartier, Bonsecours Market and the Montreal City Hall. In addition to some world-class museums, the Montreal Science Centre, Underground City and Botanical Gardens are popular. Many fine hotels are available throughout Montreal and near the Trudeau International Airport. Comprehensive information regarding the Montreal Airport, Central Train Station, Cruise Port, Metro System and tour buses. Get the latest news from Montreal Quebec. Newspapers, magazines and radio and TV broadcasts are available.